One name comes to mind when you talk about car companies from back in the day is Dodge. Stories about the Dodge brothers Horace and John Dodge that formed the Dodge Brothers Motor Vehicle Company back in 1914 are still being told in advertisements today for the Chrysler Company. The brothers were involved in auto parts and the manufacturing of bicycles before they stated Dodge. They wasted no time by introducing a touring car to the market that soon become a popular choice among automobile buyers. Too bad they didn’t have full color laminated Dodge brochures at that time. Then it wasn’t long after the first touring car that the Dodge brothers started building a roadster and a sedan. Dodge continued to grow and expand their line of vehicles with trucks that were used in World War I as ambulances and staff cars. Dodge was off and running with a full line of vehicles that included everything from popular car to heavy-duty trucks which would be a great Dodge sales catalog to own. The once family owned automaker was taken over by the Chrysler Corporation in 1928. From there Dodge stood out as innovating vehicle manufacturer that seemed to specialize in trucks and performance cars. After World War II Dodge made a name for itself once again with the famous Power Wagon Truck and the Hemi powered Coronet. Factory installed air conditioning in a vehicle was first offered by Dodge which was a real innovation at the time. It would be great to have some Dodge brochures with that factory option. Through 1950s and 1960s Dodge continued to sell a very popular line of vehicles that included the Dodge Dart and the Dodge Coronet. Even the Dart model was resurrected recently as you can see in the Dodge brochures and sales catalogs below. In the 1960s Doge introduced one Dodges triumphs the Charger that is still in production today to satisfy the performance car buyer. The Dodge Charger was considered a muscle car at that time that was built on the Coronet chassis; it featured a fast back roofline, hidden headlamps and full width tail lamps. The Dodge Charger was hit that was powered by a 318 C.I. v-8 engine and buyers could upgrade at a modest cost to a 426 C.I. V-8 Hemi engine that produced 425 horsepower. Then in 1970 Dodge continued to ride the wave by introducing the Challenger as a effective competitor to the Ford Mustang. You can see in the Dodge brochures below that the Challenger is still part of the Dodge vehicles line up. When the 1970s rolled around Dodge was no different than the other American automakers and things changed due to number of factors that included government regulations, oil crisis and changing tastes of the consumer. These changes hit Dodge, (part of the Chrysler Corporation) very hard and their financial stability was in question. Dodge and Chrysler continued to struggle and in the 1980’s they got a shot in the arm from government loan guarantees and the introduction of the Dodge Omni and Dodge Aries cars that were built for economy and price. These fuel-sipping vehicles help Dodge and Chrysler afloat until Dodge changed everything with the introduction of the Minivan. They started building the Dodge Caravan that was a real innovation to the auto industry and the company. This seven passenger family vehicle was the answer to their prayers. This family oriented vehicle was roomy and cater to a growing family that was the product of baby boomers. Thus a new segment in the automobile manufacturing industry was born, which you can see in the Dodge brochures below. 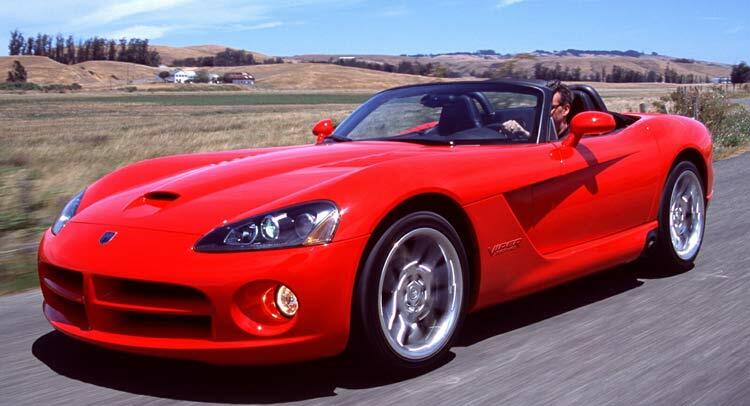 When the 1990s rolled around Dodge was once again determined to make a name for itself when the introduced the Dodge Viper roadster powered by a V-10 engine unheard of by an American automaker at the time. See the Dodge brochures below for the Viper. Plus the new Ram Pickup Truck line with unique styling. The Viper was a hit, by only by a small part of the market. Not longer after those offerings both Dodge and Chrysler became part of the DaimlerChrysler Corporation which was called a merger, but as it turned out it was more of a purchase by Mercedes Benz. Things never worked out too well between the two companies and in 2007 Chrysler and Dodge were sold to an equity investment firm. Only a year so later America entered a deep recession that was especially hard on the auto industry and specifically the American automakers including the Chrysler Corporation including Dodge. The lack of sales and mounting debt forced Chrysler to declare bankruptcy and once again the American government helped out. Dodge brochures were hard to come by at the time, but we a few. Fiat eventually took over control of the Chrysler Corporation including Dodge and the job of rebuilding the company began. Quality control was one of the first issues to be addressed because of the growing reputation for poor quality. The powerful European automaker Fiat was the helm and soon things stared to change. You can see some of the influence in the new Dodge car brochures and sales literature below. Dodge is continuing to move forward and still consider the performance division of Chrysler. While the Dodge trucks have spun off under the Ram division. Doge has seen some success with the Avenger, Journey, Charger, Challenger and of course the Grand Caravan. 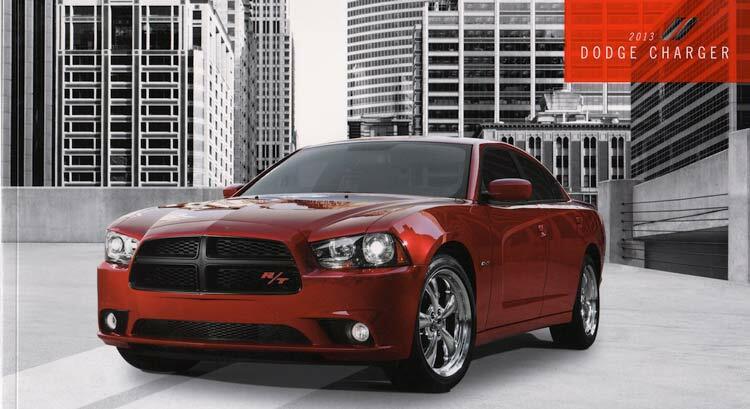 See the Dodge brochures below for their current and past offerings of vehicles.